Whether it’s a stand up reception or one with a full course, sit down meal, food plays a very important part at any celebration. If you serve food that people don’t like or can’t eat then it will dampen the celebratory mood of your reception. While you’ll never be able to please everyone, do keep in mind that people have food preferences for many reasons including medical, dietary, and religious reasons and some people have food allergies. If you want to take things to the next level, consider having food stations or food trucks during the reception, too. 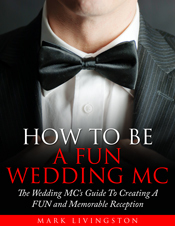 I give Brides and MCs ideas about food stations and food trucks in the Exclusive Bonuses that come with The Bride’s Guide To A FUN Reception and How To Be A FUN Wedding MC because they’re a wonderful way to add FUN to your reception. These days people don’t like to be kept waiting. They expect things to be on time. That means you have to keep things moving along and on schedule. Otherwise your guests will become restless and bored – which is the last thing you want. Your two main times when people could be waiting a long time is the beginning of the ceremony and the beginning of the reception. 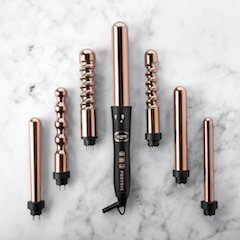 Make it a point to start on time at both events. Starting the ceremony on time, organizing the wedding party for photographs, having photographs taken on time (especially if they’re taken after the ceremony but before the reception), and arriving at the reception venue on time show thoughtfulness and consideration for your guests. Your Wedding Master of Ceremonies is responsible for keeping the reception events flowing smoothly and on time. That’s why he or she will have an agenda (also known as a run sheet) and a timeline. And that’s why your MC should be coordinating things with the catering staff to ensure the meal and the dessert are served on time and that events such as First dances, speeches and toasts, cake cutting, the bouquet toss, and the garter toss all start on time. When the reception runs smoothly and on time people will be able to relax, have fun, and enjoy themselves. Your guests are there because of you. If you don’t have a receiving line at the reception then chances are your guests will want to have at least a moment of your time to congratulate (and meet) you and your new husband during the reception. Make sure you’re available to mingle with your friends and family instead of running around organizing things – that’s what your wedding planners and MC are responsible for. When you guests first enter the reception room their first thought is, “Where do I sit?” Then they wonder who they will be sitting with. No one likes to sit with strangers or people they don’t like. Sitting with strangers is awkward for many people unless they’re outgoing. People like to sit with their friends or people they know. The table seating plan by itself can determine whether your guests are beginning to enjoy your reception. That’s why it’s important to carefully plan where your guests will sit and with whom. Everyone wants to wish you and your groom well. But wedding speeches and toasts can become a drawn out affair unless there are some strict time limits (that are closely adhered to). Most speeches and toasts should be short – about a couple of minutes at most. The one exception is the Best Man Speech. That is one of the most anticipated speeches and is usually funny. Avoid open speeches and toasts where all guests are allowed to participate after the key speeches and toasts have been made. It will make the event drag on and your guests will start getting restless and bored. While your MC should be involved in ensuring things move along with the speeches and toasts, one way to dispense with open speeches and toasts without offending anyone is to have a videographer tape personal messages from guests to the bride and groom throughout the reception. Alternatively, let friends and family give their speeches at the rehearsal dinner. Planning a wedding is hard work. And you will find there will be times when it is stressful. 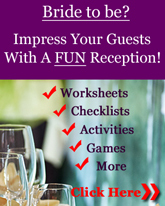 You won’t be able to please everyone but if you keep your guests and their needs in mind as you plan, you’ll have a much better chance of having a fun time at your reception. 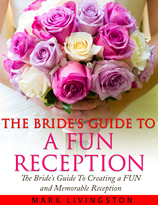 The Bride’s Guide To A FUN Reception will show you and your MC how to plan a FUN reception (with more than 50 ideas for fun games, activities, and entertainment ideas) and keep things moving smoothly. 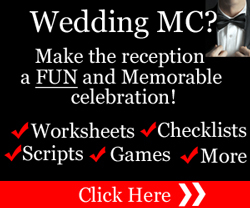 It will also save you money, time, and stress and make your reception planning much easier.